Up until 25 years ago, I wasn’t really a turkey hunter. I loved to hunt mountain lions and bears with hounds. Back then, in the area of Utah where I lived, we didn’t have turkeys until about 1991 or 1992. One day my brother told me, “Let’s go hunt turkeys.” I told him, “I think turkeys are probably the dumbest critters on the face of the earth. When I'm hunting mountain lions or bears, my dogs will run under the trees where the turkeys are roosted, and the birds just gobble, and gobble and gobble. They seem stupid.” My brother looked at me and smiled a big smile. Then he said, “Come on, hunt turkeys with me one time, and I bet you’ll change your mind.” So, we went turkey hunting. I had learned to call turkeys, and I called a boss hen to me. She brought the gobbler with her, and that gobbler gobbled all the way in to gun range. I love to call animals, including elk and coyotes. When I saw that I could call in a turkey, I was hooked! Then I met some of the people from the NWTF. I asked the president of the NWTF’s Utah chapter if I could get involved with the organization. The president said, “Sure you can. We only have me and one other guy on the board. We’d love to have a third member.” So, we started a chapter 20-years ago in my hometown, and I’ve been involved with the NWTF ever since. 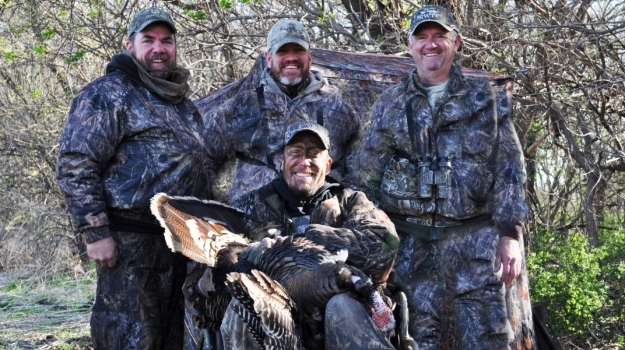 I like the NWTF because that organization has a great vision for the future. I’ve gotten involved in every aspect of turkey hunting. I’ve competed in the Grand National Turkey Calling Contest in the friction calling division. I’ve called in quite a few turkey calling contests. Even though I haven’t won many calling contests, I’ve enjoyed calling and still do. I'm still a member of the state NWTF, and I fill the role of the state’s Save the Hunt Coordinator. I've been fortunate enough to watch the turkey flock bloom statewide in Utah. The restoration of the wild turkey is one of the greatest success stories of conservation in the State of Utah. We put the very first flock of 30 turkeys in the canyon near my house in 1995, and the turkeys I've been hunting for the last 20 years have been part of that flock. The turkeys here have done so well that we’re now capturing some of these flocks and relocating them to other parts of the state. Our Division of Wildlife Resources estimates our statewide flock is about 25,000 birds, and the state believes Utah’s land still can hold more turkeys than what we have today. Utah has lost quite a bit of wildlife habitat because of urban sprawl. People like to build subdivisions on the benches on the sides of mountains, because that’s the flattest ground. Then the homeowners can have spectacular views. But the benches are where the deer, elk and turkey like to hold, especially during the winter. We have a subdivision not far from my house that has 150 homes on the side of the mountain. The homeowners have gotten upset because large flocks of turkeys have come into their yards and gardens and have dug up their flowers. 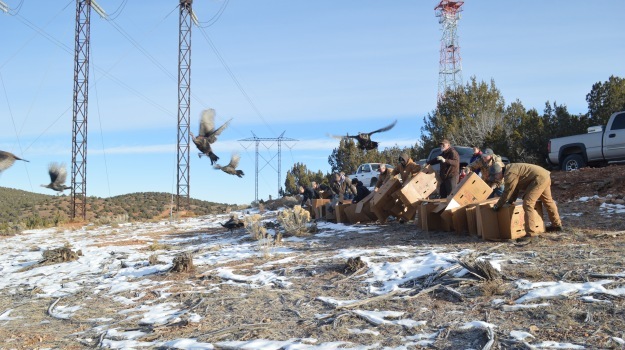 Our Utah NWTF had to go in, trap those turkeys and move them to other places in the state to satisfy the homeowners. Also, Utah’s had some tough winters. During winter a few years ago, we had snow day and night for 14 days, and the turkeys didn’t come out of the trees. We went in that spring and found 18 turkeys dead under a tree. I guess they froze to death. So, we had to put new turkeys back in that region. 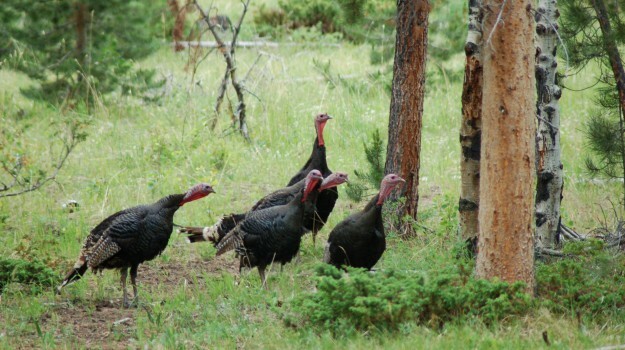 Although Utah’s turkey population has bloomed, habitat laws and severe winters have become limiting factors as to how many turkeys we can have in our state. Fifty-five-year-old Lynn Worwood of Nephi, Utah, helped the state release the mountain goats he hunts today. He has been hunting turkeys for 25 years. Worwood is a member of the Board of Directors for Utah’s National Wild Turkey Federation that helped release the turkeys he’s now hunting. Some of the most memorable turkey hunts I've ever been have been the hunts where I’ve taken my children and grandchildren. 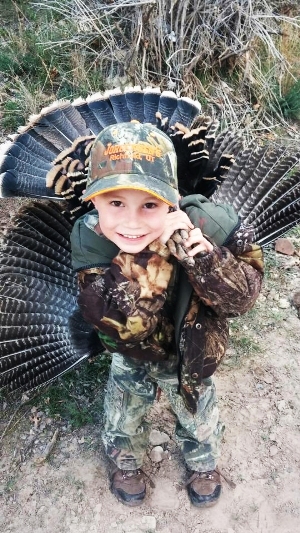 There's just something extra special about introducing a family member to turkey hunting, and being there when they harvest their first gobbler.